Over 450 post-acute and long term care advocates gathered in Washington, D.C. last week to hear from members of Congressional Leadership on both sides of the aisle, as a part of the American Health Care Association/National Center for Assisted Living annual Congressional Briefing. The speakers, Reps. Xavier Becerra, Kevin McCarty (pictured at left), and Greg Walden, represented the upper echelon of party leadership in the House of Representatives and spoke both of their personal experiences with the profession as well as how to make one’s voice heard in the halls of Congress. Advocates first heard from Greg Walden, who spoke Monday evening. The chair of the National Republican Congressional Committee (NRCC), Rep. Walden serves as the key strategist for Republicans in tight House races during a historic presidential election year. Rep. Walden’s comments about the political climate followed keynote speaker Chuck Todd, giving attendees a wide-ranging look at the upcoming election. In addition to his responsibilities as NRCC Chair, Rep. Walden also serves on the Energy & Commerce Committee, which has broad authority over health care issues. Rep. Walden spoke passionately about his support of legislation ending the observation stays loophole, which denies patients post-acute Medicare coverage if their hospital stay was deemed “under observation.” He also spoke of work on opioid and mental health reform, in which he said long term care providers have a key part to play. The following morning, Rep. Xavier Becerra arrived at the conference and spoke to attendees shortly before many went to Capitol Hill to speak to their Representatives. Rep. Becerra is the Chair of the Democratic Caucus, making him the fourth-ranking Democrat in the House and the highest-ranking Latino member of either Chamber of Congress. Rep. Becerra is also a high-ranking member of the Ways & Means Committee, the powerful tax-writing committee with jurisdiction over Medicare policy. Rep. Becerra emphasized to attendees the importance their voice has on Capitol Hill and urged advocates not to mince words with their Representatives. He told the group that they are the first defense against cuts to the safety net and that coming to Capitol Hill to speak with their Members of Congress shows that health care is more than a budget game. That cuts are harmful and affect patient care. 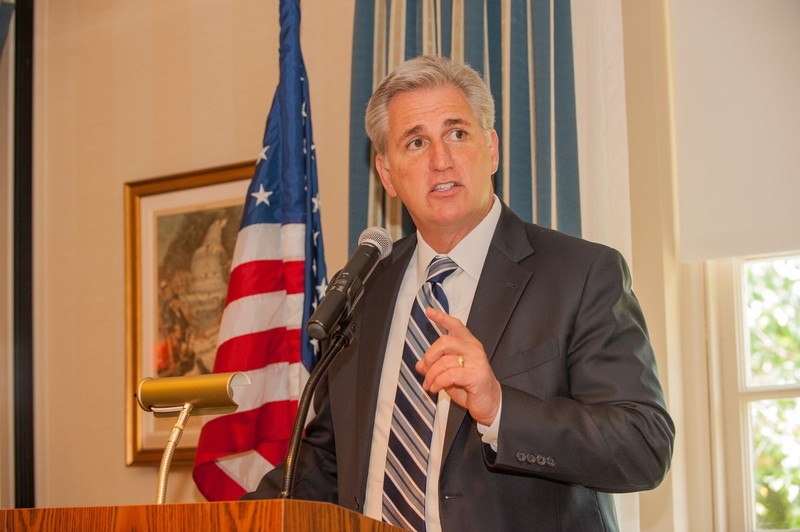 At the conclusion of the conference, AHCA/NCAL members heard from Majority Leader Kevin McCarthy, the second-highest ranking Republican in the House, at a special lunch debriefing on Capitol Hill. Leader McCarthy spoke about the necessity of preserving a positive business environment for providers at a time when thousands of Americans are approaching the age where they will need post-acute and long term care services more than ever. Drawing on his experience as a small business owner before he became a Member of Congress, Leader McCarthy said that both in politics and in business, it is the individuals who are willing to make the tough decisions who ultimately succeed. In this light, he praised AHCA/NCAL advocates for their willingness to present solutions to tough health care policy problems rather than simply trying to ignore them. The next Congressional Briefing will take place in Washington, D.C. on June 5-6, 2017 in the Hyatt Regency on Capitol Hill.